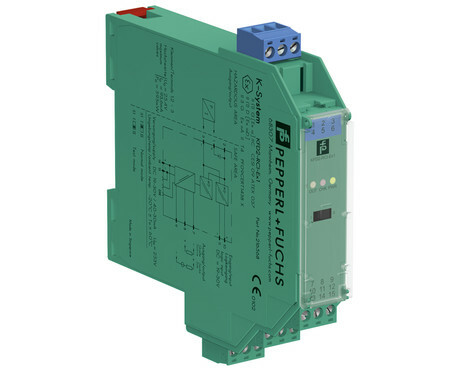 The Pepperl+Fuchs FD2-RCI-EX1 is a solenoid driver for safety applications up to SIL 3 according to IEC 61508 with HART positioners in SIL 3. It enables partial stroke tests independent from valve status. Only one barrier is necessary, so it saves on the need for a second barrier and wiring. The FD2-RCI-EX1 allows communication with the valve via the same two-wire field connection, even when the system is off. The switching signal from the SIS is transferred into a current, and communication with the field device takes place via a second parallel HART transparent input that is independent from valve position. If the control system turns off the valve, the HART switching function of the FD2-RCI-EX1 solenoid driver delivers a small current in order to maintain communication — even without valve activation. 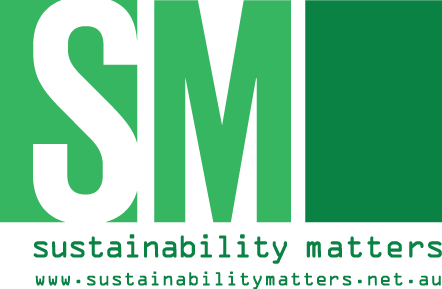 All diagnostic information is available at any time via the same wiring pair, while fully conforming to SIL 3 requirements. 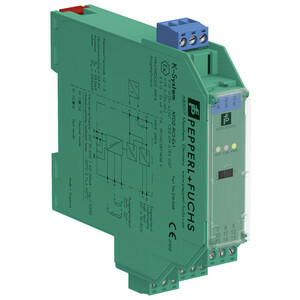 I am interested in Pepperl+Fuchs FD2-RCI-EX1 safety solenoid driver .